Jack Sullivan of Blues Music Magazine called her “a mesmerizing performer, with a voice for the ages”, and she will be in Gainesville Friday, November 30. 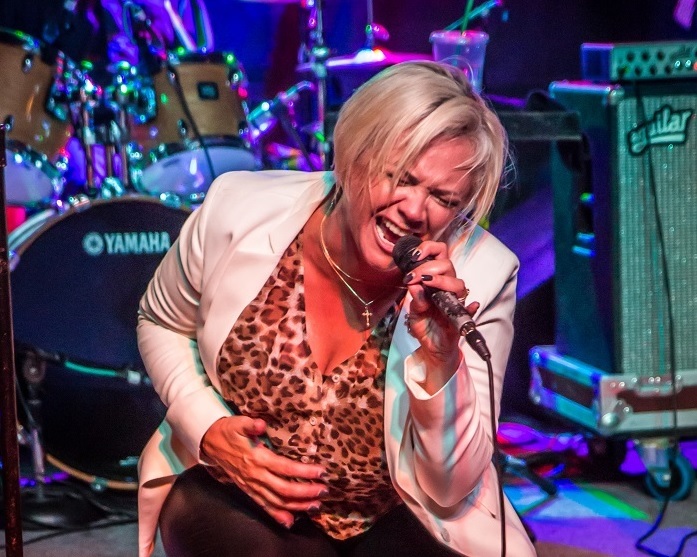 Sarasota-based Blues and soul vocalist Lauren Mitchell will be playing the Bo Diddley Plaza for a free show to kick off the Downtown Festival & Art Show weekend, presented by the North Central Florida Blues Society. Lauren doesn’t just sing Blues and soul (although she does so with great power, range, and passion), she is also a student of those genres and the people who sang them, understanding that it’s all about finding a way to transform difficult experiences into something cathartic. No less than Etta’s long-time producer and guitarist Josh Sklair, a Grammy Award Winner, thinks Lauren’s talent embodies some of Etta, saying “I miss Etta a little less when I hear Lauren sing”. Lauren performs from 9-11. Taking the stage from 7-8 will be Sweet William (solo) and from 8-9 it will be Sheba the Mississippi Queen & the Bluesmen (band), the winners of the North Central Florida Blues Society’s Blues Challenge.